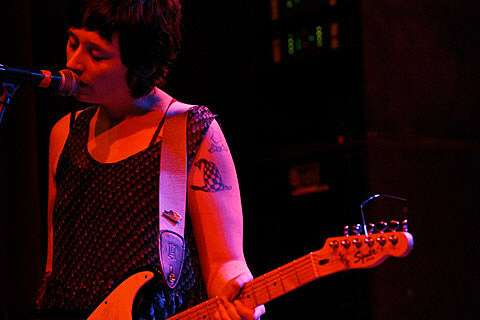 As mentioned, Waxahatchee will be opening for Superchunk when that tour hits Dallas on February 5 at Trees, Austin on February 6 at Mohawk, and Houston on February 7 at Fitzgerald’s. It’s since been announced that Waxahatchee will also play their own show in Marfa on April 7 at Padre’s as part of their spring North American tour. Tickets for Dallas, Austin, and Houston are available now. Keep checking Padre’s website for ticket updates on Marfa. 03-28 Harrisonburg, VA – The Blue Nile ! 03-29 Durham, NC – The Pinhook ! 03-30 Atlanta, GA – The Earl ! 03-31 Birmingham, AL – The Bottletree Cafe ! 04-01 Gainesville, FL – The Atlantic ! 04-02 Tallahassee, FL – Club Downunder at Florida State University !